Faced with surging fuel prices and the spectre of decreased household incomes of its Russian-citizen prime clientele, Aeroflot has decided to focus on a three-fold increase of its ancillary revenue, thereby bringing that contribution to total revenues to 20 per cent. 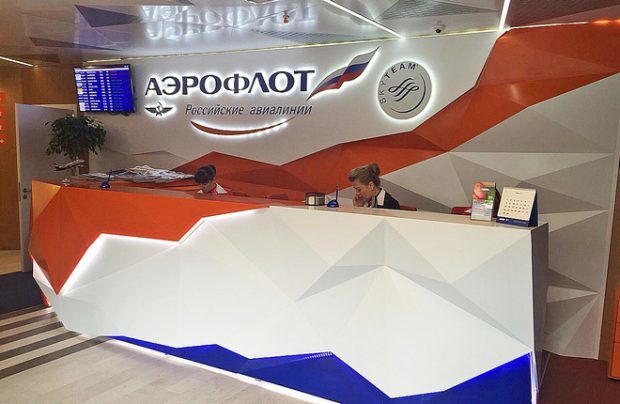 Aeroflot Group, Russia’s largest airline grouping, needs to boost its ancillary revenue, general director Vitaliy Saveliev announced at a recent briefing. He called it “a forced measure,” because despite surging fuel prices, which are driving up the airline’s costs, it cannot raise fares as the nation’s average household incomes are sliding. Aeroflot saw its 2018 profits plummet four-fold to a mere 5.7 billion roubles ($88 million) due to a combination of punitive fuel price spikes and the devaluation of the rouble. “All global trends indicate that aviation will soon not be able to remain profitable by flying alone. We need to boost our ancillary revenues,” argues Saveliev. Currently, such revenues account for just six per cent of Aeroflot’s income. “In my view, we need to bring that up to 20 per cent,” he adds. Among those ancillary products and service revenue opportunities, he cites baggage delivery to the passenger’s home, and on-board birthday greetings as typical examples. In all there are some 20 potential options which may soon be added to the existing set, comprising a loyalty programme, baggage fees, assigned seats, upgrades of cabin class – and partnership revenues such as travel insurances, hotels, car rentals, express rail travel to the airport, on-board shopping, a la carte menus, taxi services and advertisements. Last year, given its total revenues of 611.6 billion roubles, the airline have made 36.7 billion roubles on these ancillary services. As a first step towards the target milestone, traditional airlines within the Aeroflot Group will introduce hand-baggage-only fares on selected routes starting from 2 April. These include a number of medium-haul routes operated by Rossiya Airlines and specific Aeroflot flights to Germany and Italy. The group’s low-cost subsidiary Pobeda Airlines is already the country’s leader in providing unbundled fares. Worldwide airline ancillary revenue has more than doubled over the past five years, according to the latest data from IdeaWorksCompany, a consulting firm that estimates worldwide airline ancillary revenue totalled US$65 billion in 2018, up from $28.5 billion in 2014.